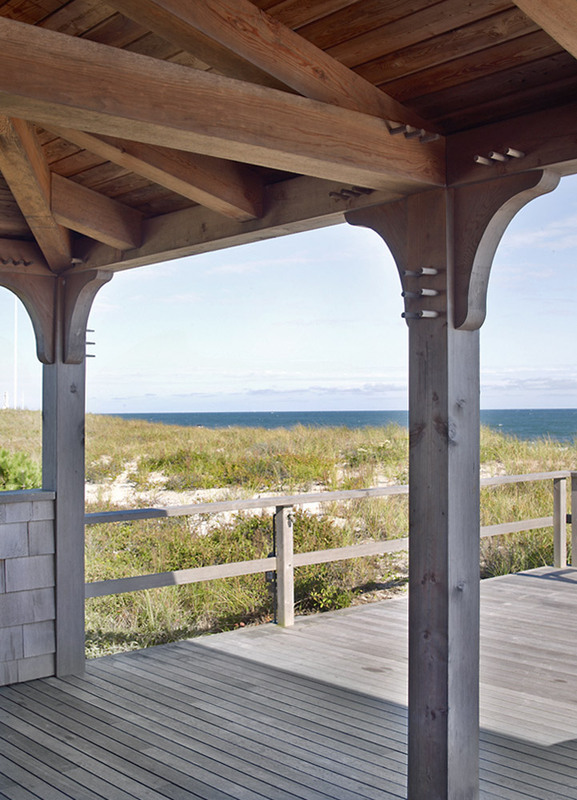 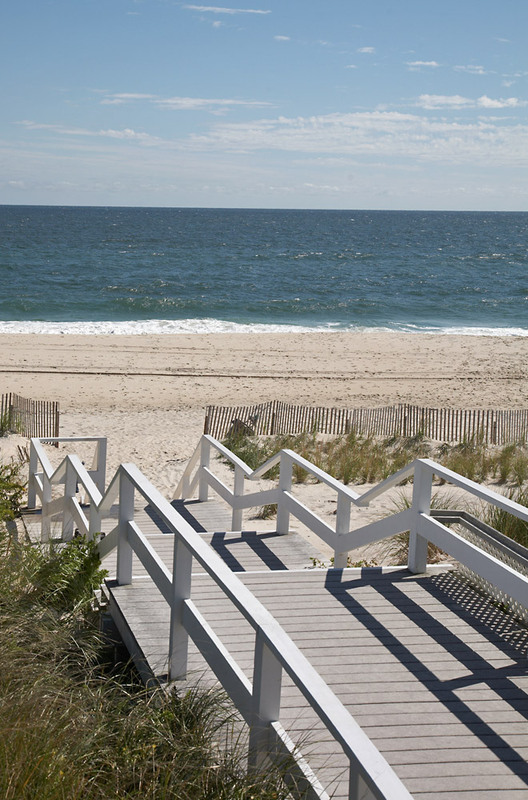 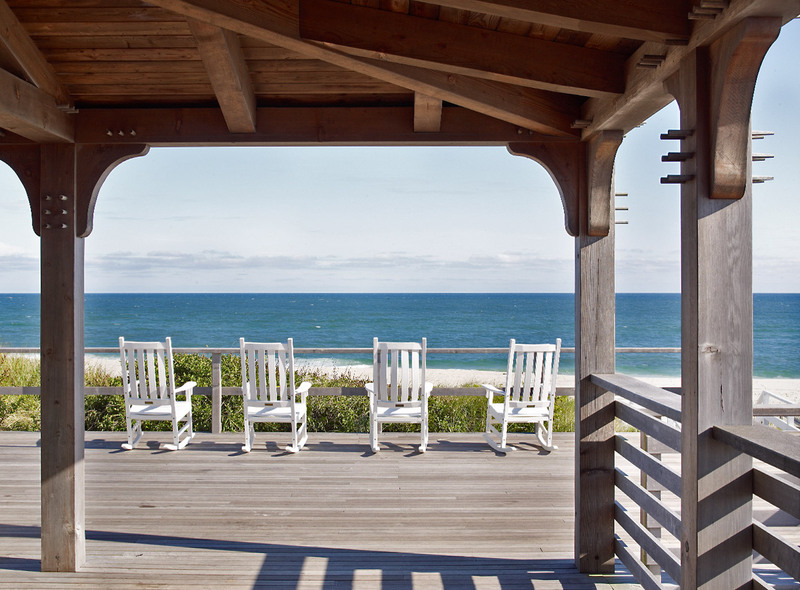 Perched atop the dunes in Quogue, the 1920s Quogue Beach Club enjoys cherished vistas of the Atlantic and its beaches. 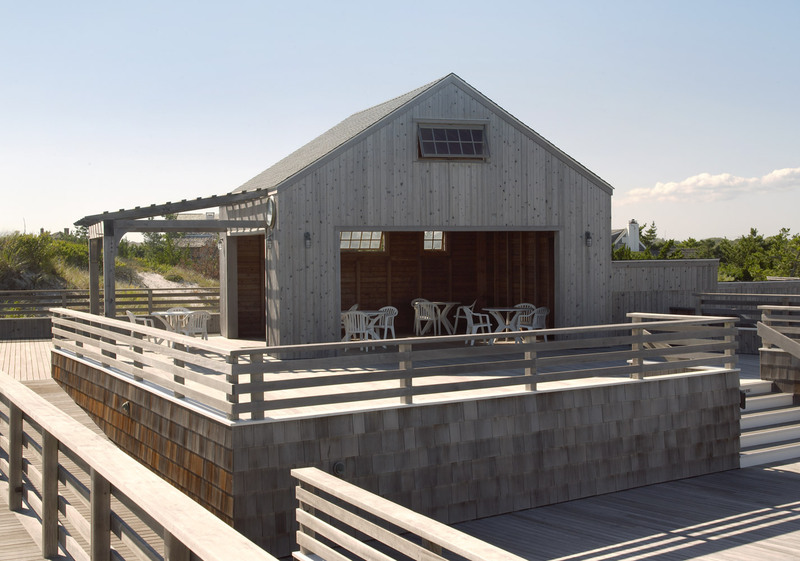 But its outdated structure, last renovated in the 1960s and sorely in need of a new esthetic, offered no accommodations for parties and no handicap access to the dunes. 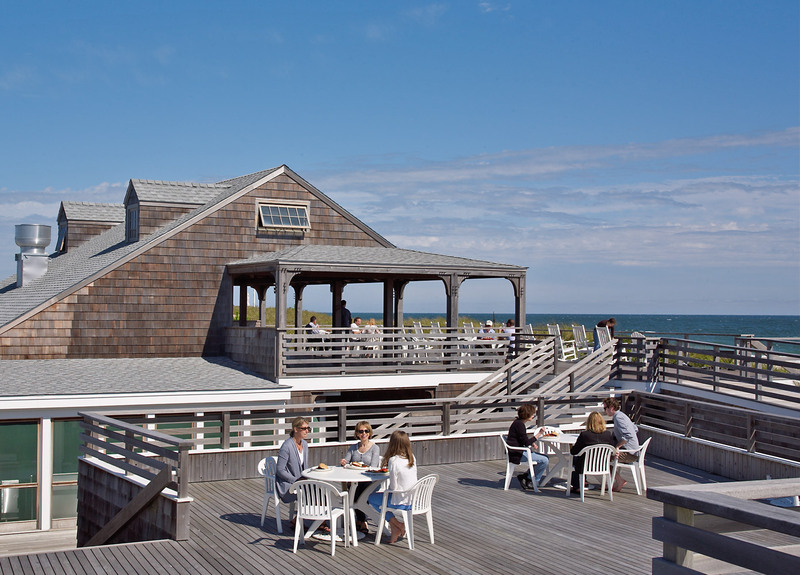 Two new pavilions barnlike in design now present a strong but relaxed architectural focus and can accommodate 270 diners. 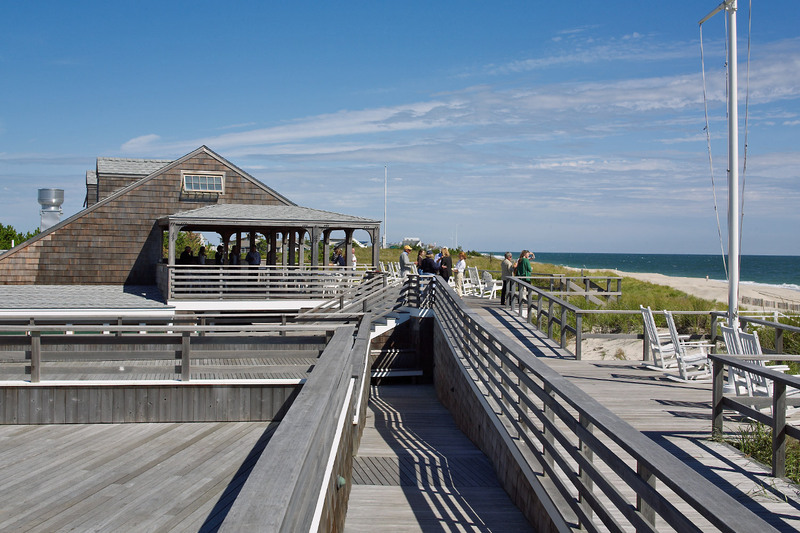 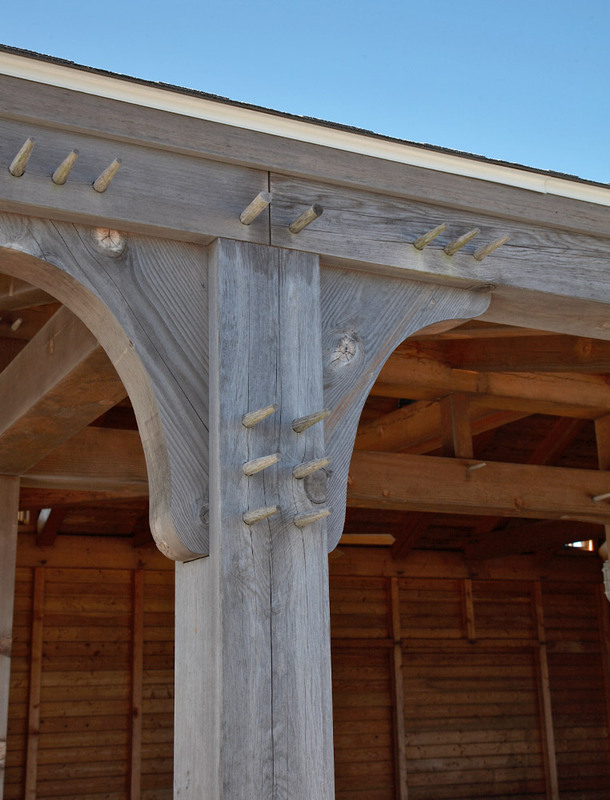 The project also includes an expansive deck area for outside eating, a new commercial kitchen, a renovated bathhouse building, and ramps that allow older members access to viewing areas on the dunes.